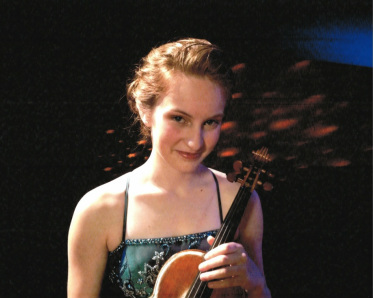 Felicity James, age 16, won first prize in the 2013 Coeur d’Alene Young Artists Competition, is the winner of both the 2012 MTNA Washington State Competition and the 2012 Seattle Music Teachers Simon Fiset Competition, semi-finalist in the 2012 Stulberg International String Competition, and participated in the New York String Orchestra Seminar at Carnegie Hall in December 2012. She has performed as soloist with the Seattle Symphony, Coeur d’Alene Symphony, Ottawa Chamber Symphony, Seattle Youth Symphony, and Port Gardiner Bay Chamber Orchestra. Felicity has been selected as a Fellow for the 2013 Aspen Music Festival and has twice participated in the Brian Lewis Young Artists Program. She has been Concertmaster of the Seattle Youth Symphony Orchestra and active in local chamber music, performing with her string quartet at the Sunflower and Methow Valley Music Festivals. She has performed live on Seattle’s Classic KING-FM and Spokane’s KPBX Public Radio. Felicity has also performed for Leonidas Kavakos, James Ehnes, Brian Lewis, Andres Cardenes, Augustin Hadelich, Vadim Gluzman, and Paul Kantor. She currently studies with Simon James.